They’ve been two of California’s biggest stories for months: the simmering anger over the light sentence given in early June to Brock Turner, a former Stanford swimmer, for sexually assaulting an unconscious fellow student in early 2015, and Gov. 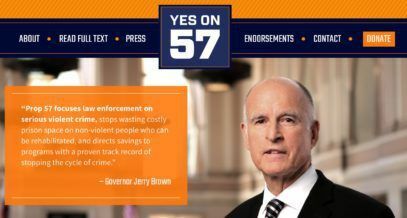 Jerry Brown’s push for Proposition 57, a far-reaching ballot measure that would speed the parole process for those convicted of “nonviolent” crimes. 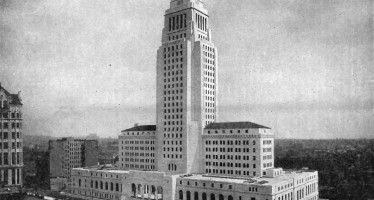 A November ballot measure backed by Gov. Jerry Brown would allow earlier parole for thousands of California inmates, but critics say it could result in the very situation that led to public outrage in the case of former Stanford University swimmer Brock Turner. The proposal is aimed at controlling overcrowding in state prisons and reining in costs, and is limited to nonviolent offenders. But in California, “nonviolent” is broadly defined. It applies to certain rapes and sexual assaults, such as Turner’s conviction, along with vehicular and involuntary manslaughter, assault with a deadly weapon, domestic violence, exploding a bomb with intent to injure and other crimes. Because of that, the ballot measure could mean less time in prison for people like Turner, prosecutors say. The one-time Olympic hopeful swimmer was released Friday after completing half of a six-month jail sentence for sexually assaulting an unconscious woman behind a trash bin near a fraternity house hosting a party. Many already were upset that the law allowed him to avoid hard time. 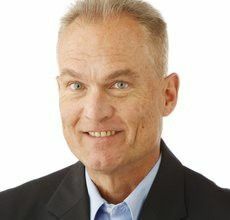 While some California opinion pages and writers covered the Turner-Proposition 57 link — most prominently Dan Walters with his Aug. 8 column in the Sacramento Bee — other journalists appeared reluctant to connect the dots. A Nexis hunt of U.S. newspapers using “Brock Turner and Proposition 57” showed no news coverage before the AP report. One possible reason is that Sacramento reporters thought that the case a Yes on 57 spokesman offered in the Associated Press story was credible: Either Corrections Department officials, parole authorities or both could block the release of a sexually violent convict. But going forward, that explanation isn’t likely to stop leaders of the anti-57 campaign — the California District Attorneys Association — from invoking Brock Turner over and over again. And the extent of anger over Turner’s case could help reduce Gov. Brown’s biggest advantage in this fight: his huge war chest. He entered the 2016 campaign season with $24 million in two accounts. In late June, the district attorneys group indicated it had little money for ad buys and would rely on getting the word out about Brock Turner being labeled “nonviolent” by the governor’s measure. It took two months, but it finally happened with the AP account, which the wire service touted as its “Big Story” of the day last Friday. The headline the Daily Post online newspaper based in the Palo Alto area used over the AP story: “Measure may let rapists out early.” The No on 57 campaign may build momentum with fund raising if such headlines continue. At the least, there will also now be public pressure on a long list of California Democratic politicians — starting with Sens. Dianne Feinstein and Barbara Boxer, Attorney General Kamala Harris, House Minority Leader Nancy Pelosi and Lt. Gov. Gavin Newsom — to explain their view on whether what Brock Turner did should be labeled a “nonviolent” crime. Many of these politicians voiced support for legislation inspired by Turner’s short sentence that was approved by lawmakers and sent to the governor last week. It mandates that prison time must be served by individuals who sexually assault an intoxicated or unconscious individual.